Do you have valuable items that you need to store? If you do, you want to know that they are not only protected and secure, but that they will be shielded from the environment. Some objects such as jewelry and furniture are extremely sensitive to extreme temperature and humidity changes and even a small fluctuation for a couple days can cause irreparable damage. Whether you want to store your items safely in a climate-controlled unit for peace of mind or you have items that require a specific temperature, you will find many options available to you. Below, we will discuss what a climate-controlled storage unit is, whether you really need one, and answer some commonly asked questions about climate-controlled storage. 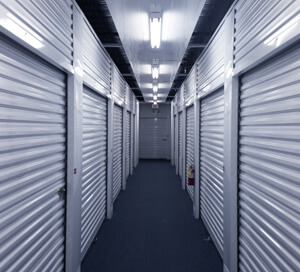 A climate-controlled storage unit is one that is temperature regulated and you will find that these units are kept somewhere between 55- and 85-degrees Fahrenheit. Each storage facility keeps their temperature set at a different degree and they may fluctuate the temperatures too, so it is important to speak with them and find out what temperature is considered average. This way, you will know if your items can be safely stored there. Climate-controlled units are ideal for items that are environmentally sensitive. Many of these units are indoors and you would be hard pressed to find one that is not indoors. These units also come with humidity control options in many facilities. In general, most items within a non-climate-controlled unit are safe and will not experience any significant damage, especially if the weather remains a constant and there is no large fluctuation in humidity or temperature for long periods of time. A climate-controlled unit provides you with the protection needed for your items that can and will be destroyed should there be a fluctuation in humidity or temperature. The biggest difference between the two types of units is that one is not regulated when it comes to humidity and temperature and the other is. You may be trying to decide whether you need a climate-controlled storage unit or not. When it comes time to make that decision, you want to ask yourself three questions, which we will cover below. 1. Where will you be storing your items? If you plan to store your items in an area where there is extreme cold, heat, or humidity, you will want to make use of climate control. As a rule of thumb, if you do not want your items in higher than 90-degree Fahrenheit weather or in weather lower than 32 degrees Fahrenheit, then get a climate-controlled unit. When it comes to heat, extreme heat can melt and warp your DVDs and CDs leaving them ruined. The heat can also cause serious and irreparable damage to your wooden furniture and cause cracks or splits. In areas that experience extremely cold weather, the cold can cause damage to your items by freezing them. Then, when it heats back up, the frozen items develop moisture from condensation and this can cause mildew or mold to form and destroy everything from clothes to important papers and more. Lastly, extreme humidity is problematic and is a haven for all types of bacteria, mold, mildew, and pests. 2. What types of items will you store? A climate-controlled unit is not always required and as we mentioned above, most of your items are safe in a traditional storage unit. When deciding whether to lease a climate-controlled unit, you should consider what items it is you plan to store. Below, you will find some of the most common items that require a climate-controlled unit. 3. How long do you need to store the items? You may find yourself stuck and unsure if you need climate control or not. To determine if you do, you should consider how long you plan to store your belongings. If you only need to store your items for one month or less or a maximum of two months, then your items will likely do just fine in a traditional non-climate-controlled unit. However, if you plan to store them any longer than that, you may need a climate control option. When you have more things than you have space for, you need to find a new home for these items. 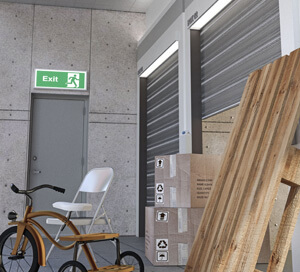 If you are not ready to part with these items, you may be on the hunt for a self-storage unit. As you look for a storage unit, you want to make sure you consider whether to get a climate-controlled unit or not. As you look to make this decision, know that there are some items that NEED climate control and if you do not store them properly, they will become damaged or ruined. Below, we will look at seven of the most common items that NEED climate control. Leather furniture is sensitive to both hot and cold weather and if you live where there are great fluctuations in the weather, you need a climate-controlled unit. Since leather furniture is expensive, you want to protect it as best as possible. Even a small amount of moisture can cause serious mold problems and ruin your leather. Not only are your photos keepsakes, you want to cherish them for years to come and even pass them down to your children and their children. Extreme humidity and temperatures can cause the photo paper to shrivel or become damaged. When this happens, the photo can be ruined quickly. It is a good idea for you to store photos in a climate-controlled unit and make sure they are placed in a proper binder or photo storage book to keep them from sticking or bending. Whether you plan to store seasonal clothes, clothes that no longer fit, or clothes for additional family members in the future, you want to protect them. Clothing can become damaged and mildewed when moisture gathers on the fabric and this is often caused due to temperature. To ensure your clothes remain in perfect condition, you should store them in a climate-controlled unit. Large and small musical instruments need to be stored properly and temperature control is a big deal when it comes to them. Whether you want to store a piano, trumpet, or violin, you need to make sure that the instrument does not face humidity, heat, or cold. Wood furniture is extremely sensitive to any type of temperature fluctuation or moisture. In fact, if you do not take care of wood furniture, it will split, crack, warp, and even rot. Keeping your wood furniture stored in a climate-controlled unit will help keep it safe and free from any moisture or humidity. While your household appliances are durable, they cannot be stored in a traditional unit as they can succumb to humidity and moisture. If you do not keep your appliances in a climate-controlled unit, they may rust or stop working. Some of the most common household appliances to store in a climate-controlled area include ovens, washers, stoves, dryers, and refrigerators. Electronics are sensitive to any type of moisture or humidity and when extreme heat occurs, the electronics can become ruined. You should always store your electronics in a climate-controlled unit. Some of the most popular electronics include computers, laptops, TVs, tablets, DVD players, and similar. As there are items that need climate control, there are items that do NOT need climate control. These types of items are generally safe to store even if there is an extreme temperature fluctuation. Below, we will look at three of the most common items that do NOT need climate control. Toys are typically made from durable and strong plastic and they do not need to be placed within a climate-controlled unit. Before you store any toys, you do want to make sure they are clean and completely dry to prevent mold growth. You also want to REMOVE any batteries that are within the toys as they may explode or leak over time. Non-perishable foods are safe to store in a non-climate-controlled unit and you will not face too many problems with canned foods. This is because they are made to withstand heat and last for many years. If you are an artificial plant collector, you will be happy to know that they do not need climate control and can survive in a traditional storage unit. Of course, you do want to make sure they are free from any dampness when they are stored, or mold may form on the leaves and in the moss or pot. You can store ANY items that are not sensitive to humidity, heat, or cold. If you are worried about an item, err on the side of caution and choose a climate-controlled unit. Now that you know which items require climate control, you need to know what temperature these items should be stored at. We talked briefly above about climate-controlled units being somewhere between 55- and 85-degrees Fahrenheit. This is a safe number for most of your items, but some items do require specific temperatures. If you have an item that needs to be stored a at a specific temperature, look for a storage facility that can accommodate your needs. Electronics should be stored anywhere between 50 to 80 degrees Fahrenheit with a relative humidity of 30 to 60 percent. Musical instruments and wood furniture should be stored anywhere between 55 to 85 degrees Fahrenheit with a relative humidity of 30 to 50 percent. Metal should be stored anywhere between 35 to 75 degrees Fahrenheit with a relative humidity of 35 to 55 percent. Household appliances should be stored between 50 to 80 degrees Fahrenheit with a relative humidity of 30 to 60 percent. If you want to store a specific item and you are unsure of what temperature or humidity it needs to be stored at, you can refer to the owner’s manual or speak with the manager at the storage facility. It is important to pay attention to the size of the climate-controlled unit you choose. For starters, not all unit sizes are available in a climate control option. This is because the larger units such as a 10x20, 10x25, and 10x30 are just too big to be an interior unit. It is possible for you to find 10x20 unit sizes inside of a facility and climate controlled, but it may take you some additional hunting. Below, we will go over some of the most common sizes that are offered with a climate control option and what they can hold inside of them. A 5x5 unit is the smallest unit that is offered at a storage facility and you often have the choice of it being climate controlled. This unit is equivalent to the size of a small closet and does not hold a lot, so it is ideal for individuals who do not need to store much. You can fit multiple items within this unit such as a washer/dyer stacked combo, a few small appliances, and some boxes or filing cabinets. A 5x10 unit is the next step up from the 5x5 unit option and is available at all storage facilities. This type of unit does come in a climate control option and is equivalent to the size of a larger walk-in closet. You can fit quite a few items within this unit such as a small one-bedroom or studio apartment, coffee tables, a small couch, seasonal items, boxes, and some lamps. A 5x15 unit is not always available at all storage facilities but if it is, it likely comes with a climate control option. This type of unit is longer than it is wide, so it is quite narrow. You can store roughly a one-bedroom apartment or one-bedroom small home inside. Some of the items you can fit include ladders, dressers, mirrors, mattresses, box springs, filing cabinets, and boxes. A 10x10 unit is quite larger than the other units as it is much wider. Most storage facilities will offer this size unit in both a climate and non-climate-controlled option. You can expect this size unit to hold a small bedroom or a one to two-bedroom apartment inside. Some of the items that you can fit inside include a dining room table set with chairs, two-bedroom sets, mattresses, bookcases, filing cabinets, small appliances, and boxes of items. A 10x15 unit is likely the largest sized unit you will find that is climate controlled. This unit can hold roughly a two-bedroom home. Some of the items that you can fit inside this unit include yard equipment, tools and toolboxes, bedroom sets, dining room furniture, patio set, living room furniture, chairs, and computer desks. While it may be a bit more difficult to find a climate-controlled storage unit and it may cost you more, there are many benefits to them. The cost to store your items properly is less than that to replace them should they become damaged. You do not have to worry about corrosion, pests, or temperature damage that can occur in traditional units. All wood furniture and décor are protected within the unit as it will not be exposed to moisture or extreme heat and cold. 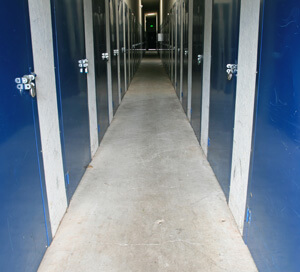 You can find storage facilities that create the perfect temperature atmosphere for your items. Extra protection from vandalism, theft, and flood damage when a storm occurs. More privacy than if your items were stored in a traditional unit where it tends to be busier due to drive-up access. Clean and secure area for your items. Less dirt and dust as opposed to a traditional outdoor unit where it may be stirred up from other people driving and moving items. Below, you will find some of the most commonly asked and answered questions about climate-controlled storage units. Do all storage facilities offer climate-controlled units and if they do, do they come in all sizes? Not all storage facilities offer climate-controlled units. In fact, there are some storage facilities that strictly offer outdoor units. If you do find a facility that has a climate control option, not all sizes are available. Typically, the largest unit size with a climate control option is a 10x10 or 10x15. It is possible to find a 10x20 that is climate controlled. Will a climate-controlled unit cost me more money than a non-climate-controlled unit? Yes. Climate controlled units do cost more than a traditional exterior unit and that is because it costs the facility money to keep your items safe and protected from extreme temperature changes. If you live in a smaller city, you can expect climate-controlled units to cost anywhere from 20 to 30 percent more and in busy cities or in a high demand area, you can expect to pay 50 to 70 percent or more per climate-controlled unit. Can I control the climate in my own unit? Unfortunately, you cannot control the temperature in your unit. Climate-controlled units are controlled at a central location within the facility and only the on-site manager or acting manager can adjust the temperature. Is a climate-controlled unit always required? No. You do not NEED a climate-controlled unit and they are only recommended. If you need to store valuables, sentimental pieces, or items that are temperature and humidity sensitive, you should invest in a climate control option. However, if your items are not temperature or humidity sensitive or you only plan to store them for a month or less, you do not need this option. Do I need to sign a special contract to lease a climate-controlled unit? No. The lease contract required is the same one that is required to lease any self-storage unit. You will be able start, end, or pause the lease as required and within the limits of the facility’s policies. What temperature do storage facilities keep climate-controlled units set at? Most storage facilities will keep their climate-controlled units anywhere between 55 to 85 degrees Fahrenheit. In today’s day and age, storage units in general are popular and you can find them all over the place. Prior to the last decade or so, storage units were not as popular, and you would have to identify them by word of mouth from others or look them up in the phone book. Nowadays, you can perform a search online and locate a climate-controlled unit nearby in seconds. You can also drive around town and spot them all over. As you do look for a storage unit to meet your needs, think about whether you do need a climate-controlled unit or not. Remember, items that are heat, cold, or humidity sensitive need to be placed within a climate-controlled unit unless you plan to only store them for a month or less. Do take a tour of the storage facility you plan to lease with and check out what security features they offer and assess their ability to meet your needs.